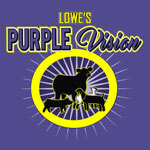 Goat Feed - Lowes Pellets & Grain, Inc.
Below you will find a list of our most popular feed products for Goats. We manufacture many more products and can customize formulas for your operation. 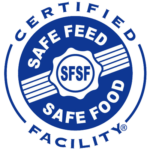 Complete pelleted feed to be used as an initial creep feed and starter for goats from birth to six months, as well as a developer for maximizing the genetic potential of the show buck and doe. Fortified with the proper balance of vitamins and trace minerals to help ensure the “look” and bloom wanted for the demanding show ring. Contains Amaferm® to increase digestibility and maximize the energy value of feed. A pelleted protein supplement balanced with higher levels of Selenium (0.7mg) and Vitamin E (50 IU/lb) for improved immunity, proper muscle function and an increase in reproductive healther. Medicated with Rumensin for the prevention and control of coccidiosis and toxoplasmosis.